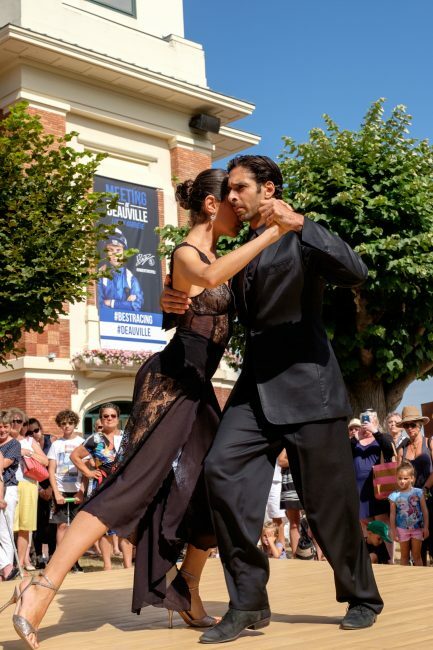 LARC the LATIN AMERICAN RACING CHANNEL brings a Latin American atmosphere to Deauville Sunday 9th August 2015 as their agreement with France Galop is extended. LARC, the Latin American Racing Channel retransmits horse racing directly from Latin America to North America, Europe, Turkey and Australia.Viewers around the World are able to bet directly through LARC on their retransmitted races.This very exciting venture should enable the horse breeding industry and horse racing world to harmonise their organisations. The race horse industry generates increased revenues and jobs every year. Bertrand Belinguier President of France Galop and Pablo Kavulakian Director of LARC, the Latin American Racing Channel have reinforced their partnership. Within the framework of the Partnership the prize money of the prestigious Group 1 LARC Prix Maurice de Gheest has been increased by euro 50.000 bringing the total for 2016 to euro 400.000 in 2016. 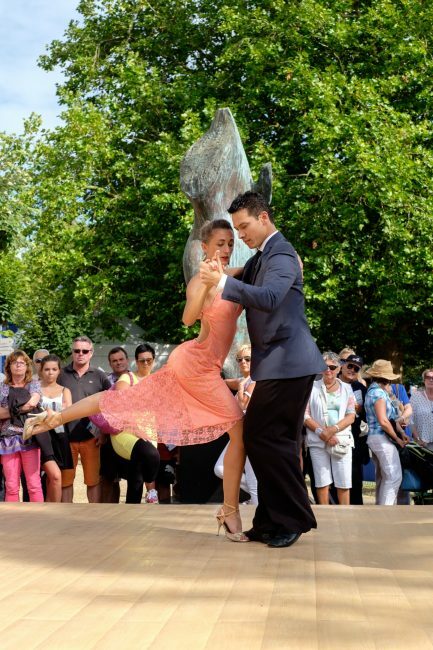 The Latin American atmosphere was shared race goers with an exhibition of the TANGO. This years LARC PRIX MAURICE DE GHEEST was won by MUHAARAR, owned by H.Al Maktoum,trained by C.Hills. Lord Vestey was at the races to see his horse COULSTY run, trained by Richard Hannon, but this year his horse did not win, although Deauville has been a lucky place in the past for Lord Vestey . 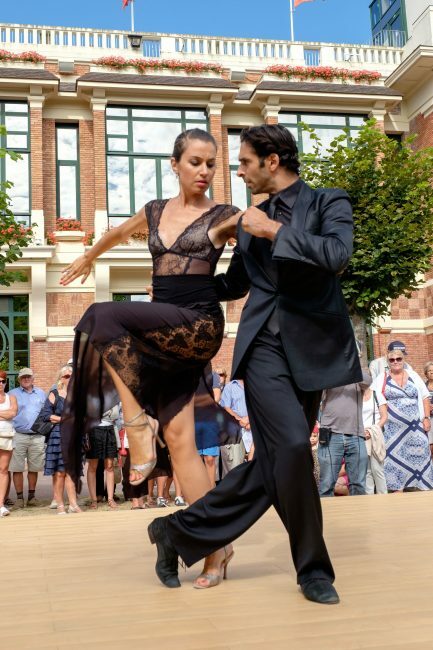 All photos du tango remerciements a VINCENT RACKELBOOM. 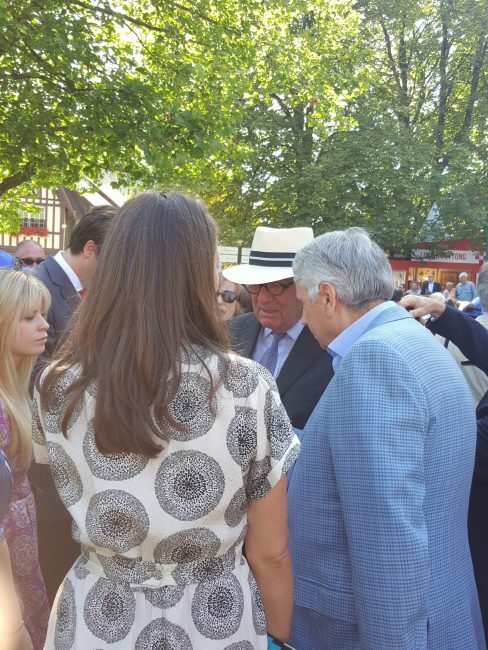 Lord Vestey, at Deauville la Touques race course, Sunday 9th August 2015. Lord Vestey present to see his horse Coulsty run again at Deauville Le Touques race course. Prix LARC MAURICE de GHEEST.